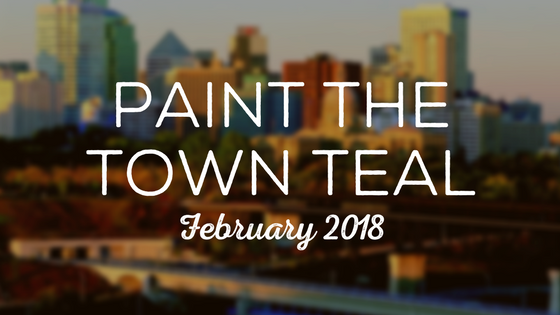 There’s so much fun to be had in this beautiful winter city … Here’s a few of our favorite events happening in February! Swing ‘N’ Skate – “Jump and jive at City Hall!” Skate, listen to live Jazz bands and pick up a few steps from the swing dancers giving lessons. Fun for all ages! Silver Skate Festival – Edmonton’s oldest winter festival is back. Free fun for the whole family! Enjoy a day of art, culture, recreation and sport in Hawrelak Park. Family Festival – Free fun for the whole family! Bouncy houses, crafts, concessions, face painting and so many more fun activities! International Festival of Winter Cinema – Edmonton’s very first Winter Film Festival! Watch winter themed movies on a giant snow screen in Hawrelak Park. Family Day Sleigh Rides & MORE! – Spend Family Day riding in a horse drawn sleigh, painting snow, making s’mores by a bonfire and so much more! Yoga Love – Introduce your little ones to the amazing world of yoga in an environment tailored to them! Parents and children ages 1-5 are invited to attend. Laugh Steady Comedy Night – Laugh your night away with local YEG comics and some featured guests. Are you a POPnologist? – Geek out at this interactive exhibit that makes the connection to how technology has been influenced by pop culture. You can even take your picture with the DeLorean Time Machine! Free Bachata Class – Learn some new moves and make some new friends! No dancing partner required. ETown Salsa Celebrates 10 Years – Salsa dance on one of the best dance floors in the city! This event will feature a live 10-piece band, performances and a mini dance lesson to start off the night. Hypothermic ½ Marathon – Participate in a marathon held in beautiful winter cities across Canada. As a participant, you’ll also receive some running room swag, a unique finishers medal and brunch! Sports Drop in Saturdays – Laser Tag, Archery Tag and Bubble Sports! Valentines Date Night – Paint a pair of mugs or goblets with your sweetheart to celebrate Valentine’s Day this year. Chair Dance – Ladies, let your hair down a little and explore your wild side! The Art of Tea Crafting – Learn how to create your own teas tailored to your taste buds, medical or nutritional needs. Pride & Prejudice Ball – Get all dressed up in your favorite ball gown or cravat and have the time of your life! Sip and Stitch – All handcrafters welcome! Sip some tea, work on your crafts and enjoy getting to know some friendly faces who share similar interests. Yoga for Equestrians – This is a 5-class series geared towards helping you create a stronger connection with your equine partner as well as work on mindfulness, body awareness, strength, coordination and so much more. DIY Creams & Facial Botanicals – Learn how to make beautiful skin care products from essential oils, floral waters, nutritive botanicals etc … specifically tailored to your needs. Paintball Date Night – Grab your date and paint the town … whatever color you like! Beginners are welcome! Mama Mia – Here we go again … at the Citadel Theatre! Join in the fun and sing your heart out!